Laws and regulations govern an international organization like the Society of Jesus. As a Catholic religious order, the Society has its own legal rules. Additionally, the Society must also follow the rules of the Catholic Church, that is, Canon Law. In the General Curia, one Jesuit, the Procurator General, bears the responsibility of handling everything that has a juridical character. The GC36 Media Team invited Fr. 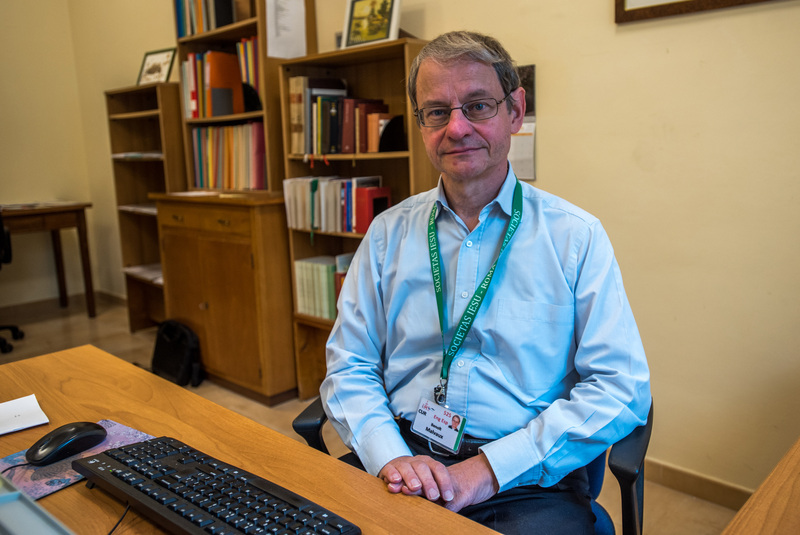 Benoit Malvaux, a Belgian Jesuit and canonist, to speak about his work and in particular of his involvement in the current General Congregation. 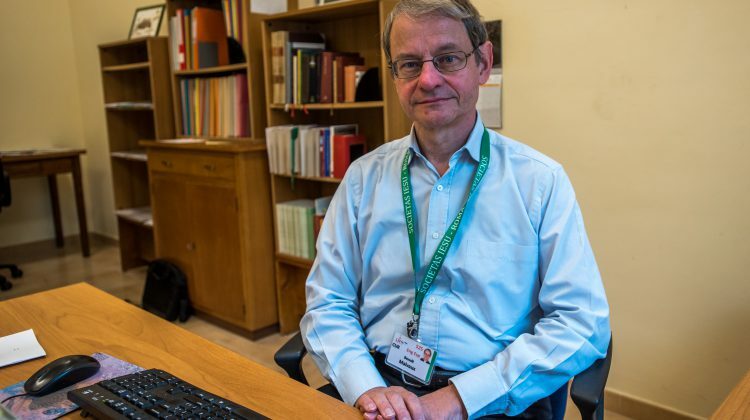 What are the responsibilities of the Procurator General in relation to the General Congregation? The Procurator as such does not have any particular responsibilities. He is an ex officio member of the Congregation, and in this capacity, I participate in the GC. But it so happens that the Steering Committee has chosen me to be moderator of the juridical commission. In this capacity and in relation with the members of this commission, I have the responsibility to enlighten the Congregation, for example, on the changes in the Formula, the regulations for the Congregation itself, a document that has been profoundly reworked since the 35th General Congregation. What is new this time, from a legal point of view? The last congregation (the 35th, in 2008) had given Father General a mandate to revise the regulations for the General Congregation. He did so with a group of experts, and the modifications had to be approved at the beginning of the current Congregation. The members of the Congregation have shown their agreement but have also proposed other modifications to refine the work already done. What sort of changes are we talking about? The main change is the appearance of a new form of a congregation in the sense that, until now, the congregation began with what is called the plenary session when all the members gathered in Rome. With the new formula, the congregation really began around a year ago, when the members met at the level of their respective “conferences”—, which are geographical administrative units—in order to set up the different preparatory commissions. These commissions therefore prepared documents that, formerly, would have had to be rapidly composed in Rome. Once they got to Rome, the delegates could therefore get directly to the heart of their work. The members of the Congregation have reacted very positively; they are overall satisfied with this new way of working, even if some have underlined that, it took too long: it has been over a year now since the meetings began. Does the juridical commission have a role to play after the election of Father General? The juridical commission will present new revisions of the formula on which we have been working; they will have to be approved by the Congregation in order to go into effect. In addition, it will be available to give legal opinions, for example, on proposed decrees that will somewhat reform the way the Society works in the future. And yourself, will your role as Procurator General change after the Congregation? My role will not change since it will still be a matter of advising Father General, this time the new General, Father Arturo Sosa. I will have to explain to him canonical questions that will arise, and I will continue another aspect of my work, that of handling different matters with the Holy See. Indeed, Father General has the authority to make decisions on certain matters, but he sometimes needs the approval of the Holy See. In certain cases, too, for example, that of a Jesuit who wishes, for his own reasons, to leave not only the Society but also the clerical state, the case must be presented to the Holy See, in fact to the Pope, who makes the final decision.